JEEPERS! 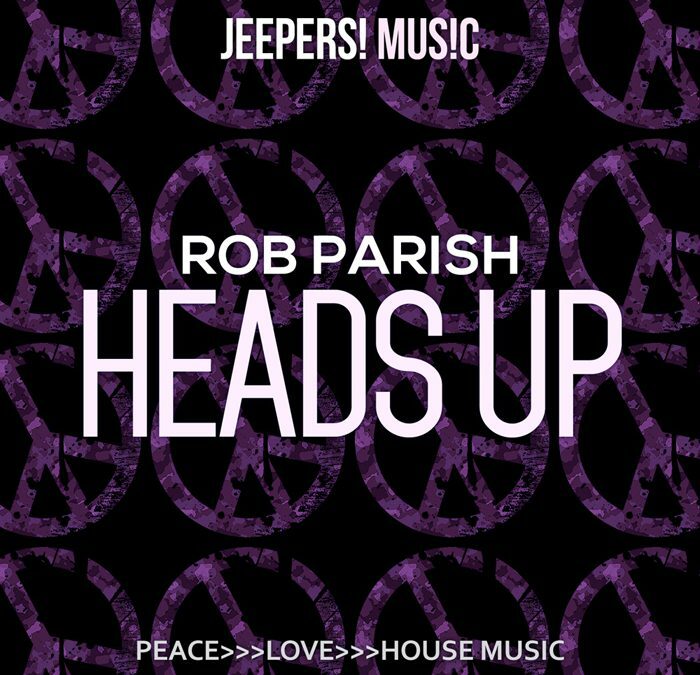 proudly presents the first of two releases by London-based DJ/producer ROB PARISH, entitled ‘Heads Up’. Rob Paris has been DJing on the London club scene since the 1990’s, performing at some of the capitals most established venues. He’s also an accomplished songwriter and musician, playing guitar, bass, keyboards and drums in bands since his youth. ‘Heads Up’ is a super-cool, chunky house track with an hypnotic, percussive groove and captivating melodic breakdowns, all expertly arranged to keep your floor jumping. Another top-notch release from Jeepers! that’s guaranteed to take your dance floor to a higher level. Available from BEATPORT, TRAXSOURCE, JUNO DOWNLOAD, iTUNES, SPOTIFY and all good download and streaming sites.